Howdee! I live in Missouri and have 3 paints. 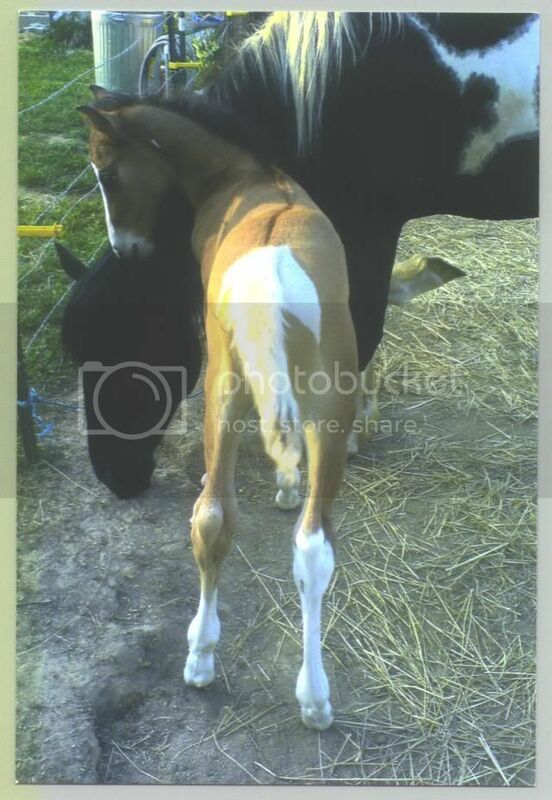 Two are registered APHA and one is PtHA, I also take care of my father's unregistered painted mare. 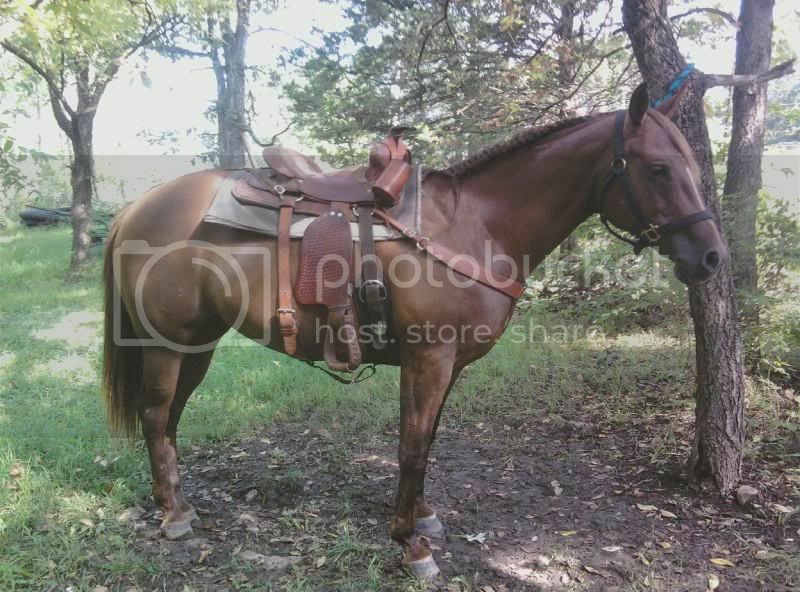 I've owned my mare for 7 years now, my stallion for 3 years, and my gelding is out of my mare so I've had him his entire 2 years! 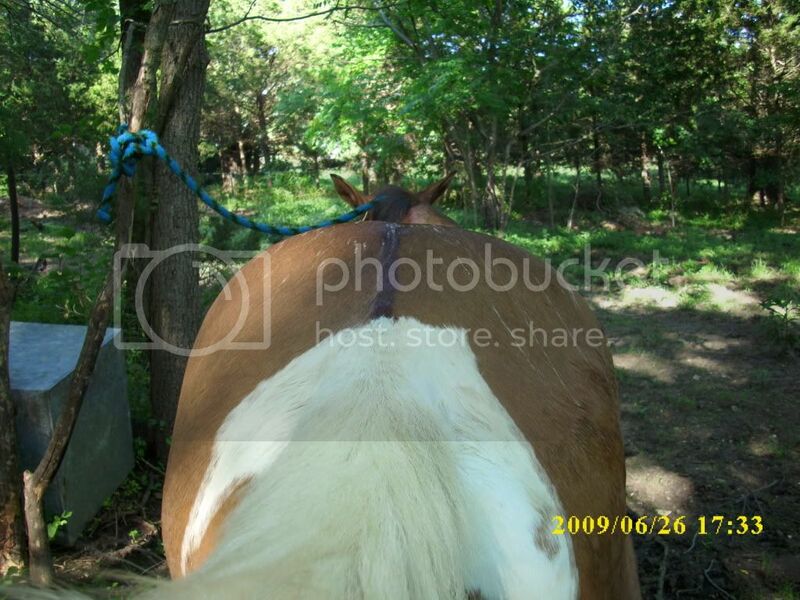 This is my mare, Spiffys Jag, she's a 2001 APHA Breeding Stock Paint mare. 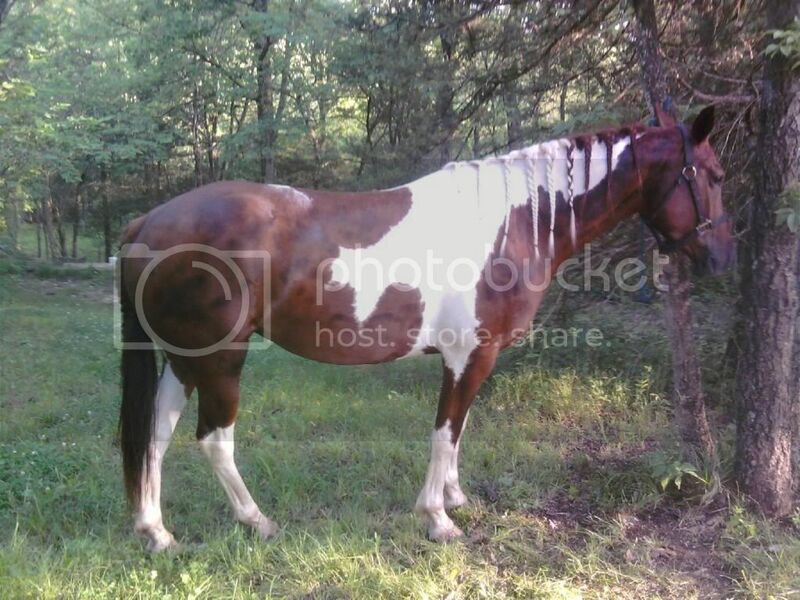 This is my stallion, Tuff Drifter Music, he's a 2007 APHA Dun Tobiano stallion. 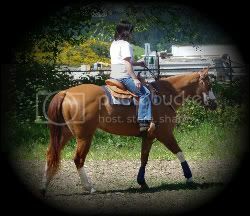 (This is also my avitar pic) This is my gelding, Kings AllStar Note, he's a 2009 PtHA Bay Tobiano gelding out of my mare. 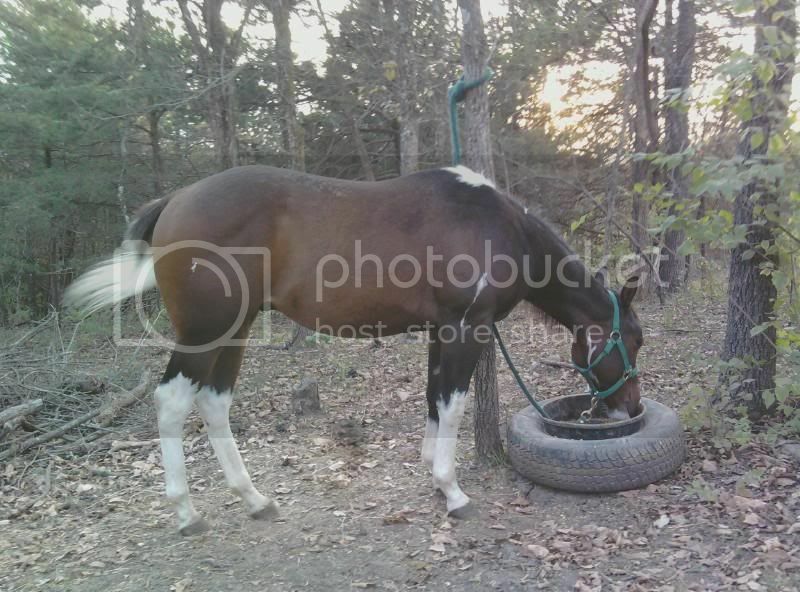 (This was taken last fall) And just for the heck of it, this is my dad's mare, Tawnie, she's a 2002 Tobiano Saddlebred/Quarter horse/ Arabin/ Morgan mare. I also have a 7 yr old Black American RingTail cat and a year old AKC female Pug. I'm pretty open so if you have any questions, feel free to ask and I'll answer as best I can! 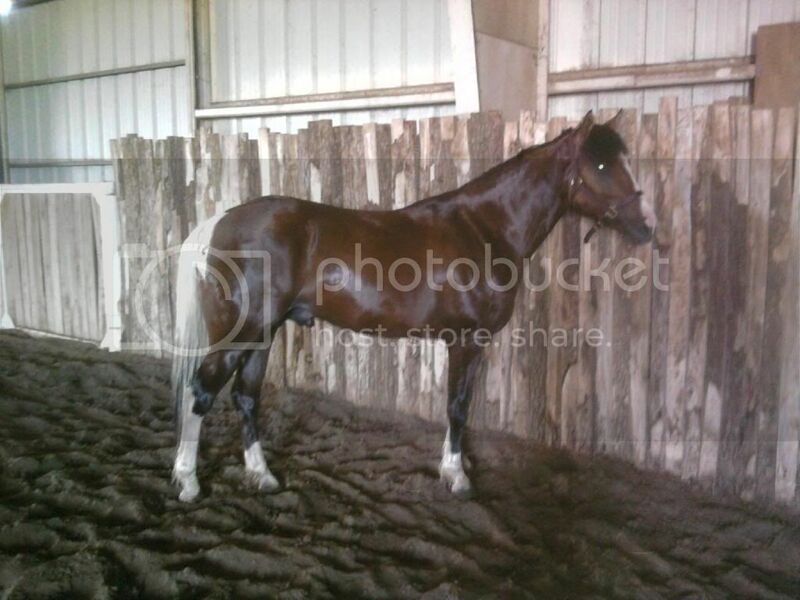 Do you have any other pictures of your stallion? I am not sure I am seeing dun in the one you posted. Hello and welcome to the forum, enjoy the chat. Lovely pictures too. Welcome! Love those minimal tobianos. Why yes, I have more pics of Drifter! lol! I love showing off my boy. He was just fresh out of a bath in that pic, so he's darker then normal. Here's a rear end pic of his dorsal stripe. A pic of his 'ghost' spot on the left side of his neck, up near his jaw. And then a full body shot with him being dry. This the 2nd pic were taken last spring/summer. And just for fun, here's a few baby pics of him. Lol! Enjoy and if you want more pics of any of my horses, just ask. I have loads! lol! Wow yeah what a difference a picture can make, that first pic he definitley looks bay but the other ones you posted you can tell he is dun. Does he have any leg bars as well or just the dorsal stripe? If you don't mind, might I ask which mare watching site it was? I watch from several so was just curious. Rodeo: Yeah, for some reason all mine are way darker when wet. 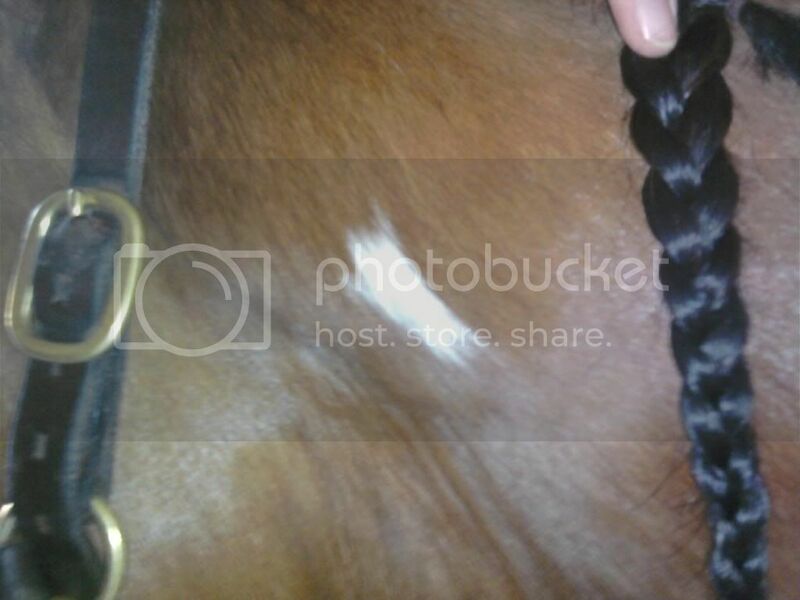 He looks like a bay, my mare looks like a chestnut (she's sorrel), and my gelding looks black (he's a dark bay). lol! He has light leg bars. I'd take a current pic but he's filthy right now with all the mud and his leg hairs are extremely long as well. The leg white almost comes up past where the leg bars stop (above the knees) so it's hard to see them. He does have the shoulder stripe arcoss his withers and the webbing on his forehead. Hopefully this weather will straighten out, it snowed here today, and I can get some nice 'clean' pics of all my guys. 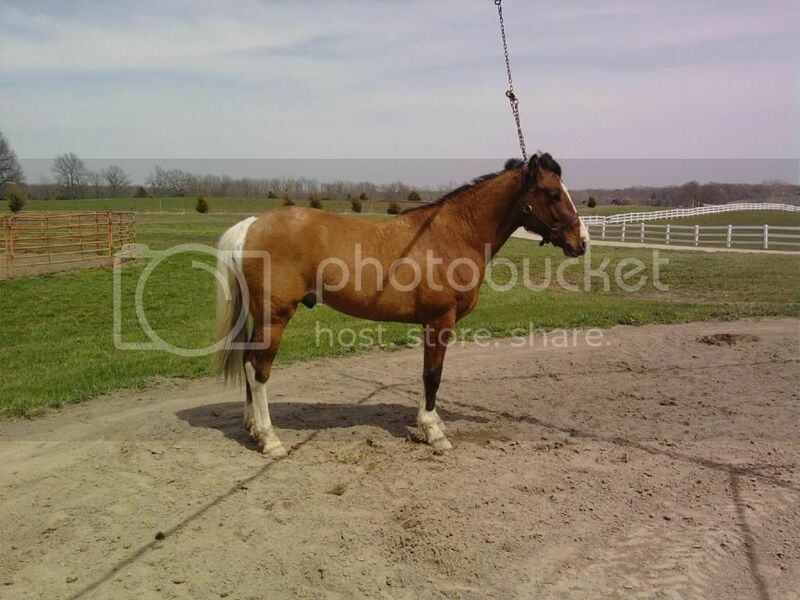 Critter: I frequent the HorseCity forums and we were all watching Lacy on MareStare. There's a few other cams that we are watching as well. lol! Ahh, now those pics definitely look dun. Thanks for putting them up. No problem! I enjoy posting pics of my guys, they're my babies. hehe! I know. 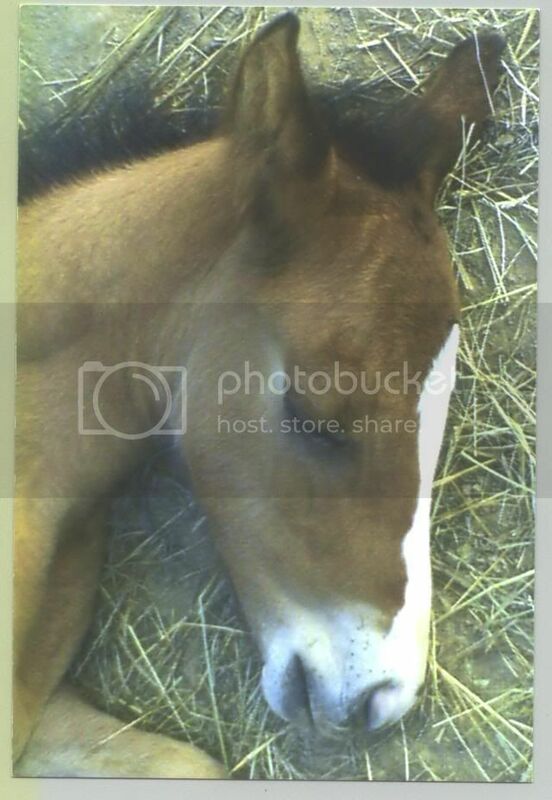 I've been watching the Faith Farm and Foaling cam for atleast a week. 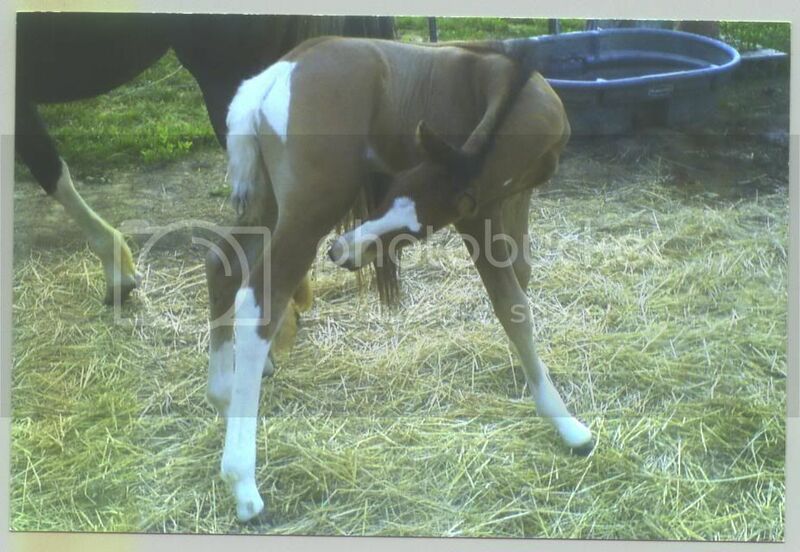 So far only one of the mares has foaled and I missed it! Grrrr! lol! Congrats on your new baby's!!!! Thanks and I love showin' pics of my ponies! lol! 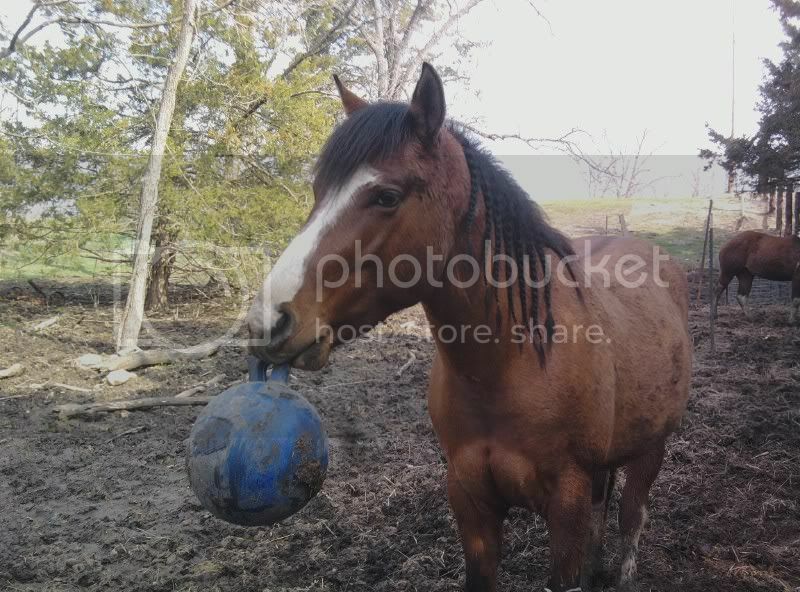 Like this one I took today of Drifter with his Jollyball.